The Oyster Creek Generating Station in Lacey Township, the oldest operating nuclear energy plant in the United States, will close for good Monday. Simultaneous to the shutdown, an hour away in Trenton, state officials will hold a meeting on leasing offshore plots for wind energy. The proposed number of leases for wind turbines will generate 1,100 megawatts of energy, just under double Oyster Creek’s 636 megawatt boiling water reactor. State officials say the swaths of ocean that are the subject of Monday’s proceedings are a first step in creating an offshore wind presence that Gov. Phil Murphy has proposed to generate about 3,500 megawatts of energy. The state Board of Public Utilities will meet to consider the first phase Monday. The Act was signed into law in 2010 by Gov. Chris Christie, but the implementation remained largely dormant through his two terms. 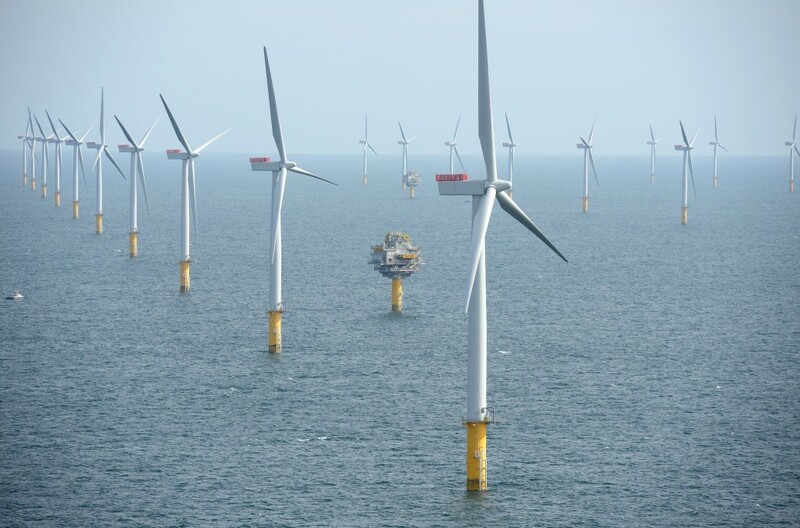 The law seems straightforward, but has generated controversy – mainly over the fact that New Jersey taxpayers will help foot the bill to subsidize offshore wind projects so they are profitable for developers. The BPU is proposing a mechanism under which fees paid to electric utilities could be shuffled into accounts that will provide incentives for wind energy development. The federal Bureau of Ocean Energy Management, an arm of the Department of Interior, previously announced announced two 25-year lease awards off the Jersey Shore. Permission to develop turbines in the southern area, a swath of 160,480 acres off Cape May and southern Atlantic counties, was granted for $880,715. The lease went to RES America Developments Inc. 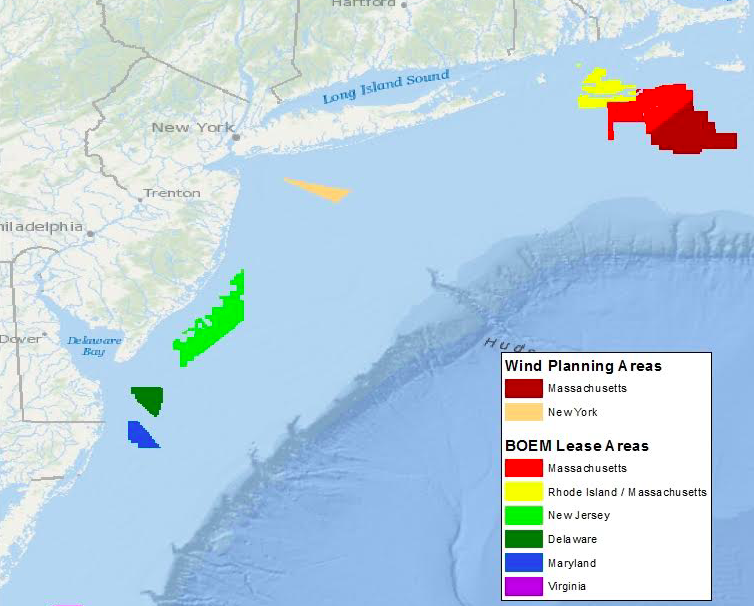 The northern portion, 183,353 acres of ocean off northern Atlantic and southern Ocean counties, was leased for $1,006,240 to US Wind Inc. Still pending is a third lease area, which extends from the southern coast of Long Island to an area near Point Pleasant Beach and Bay Head – but far offshore and out of sight for beachgoers. The southern project locations would be more likely to be visible from shore. According to the Argonne National Laboratory, a study showed that offshore turbines were visible at distances of 26 miles during the daytime and 24 miles at night, and may be a “major focus of visual attention” at distances of up to 10 miles. The northern portion of the leases awarded this week are at their closest point – about 7 nautical miles – to shore off Ocean County, where the development zone runs along the entire southern half of the island, from Holgate to Surf City. The Long Island project area, which would swing south off New Jersey, would be too far from shore to be visible.